Heavy rain, hail and snow are severe weather conditions that are to be expected during winter. Before things get too cold to handle, however, make sure to prepare your roof for any winter weather damage. With expert help from your roofer, follow these steps to prepare your roof for the harsh winter weather. Leaks are perhaps the most common problem, but how exactly can you find a leak in your roof? Water spots on your ceiling and walls are a good sign. The most common leak-prone areas are where water can work its way inside your home. Look for missing shingles, loose vents, and unsealed flashing as they all present potential problems. Not attending to small leaks can lead to big problems. Act on them early to prevent mold or rotted insulation. Nonetheless, don’t do even the simplest shingle and flashing replacements by yourself. Don’t ever put yourself in danger to save money. Hire a professional roofing company. Your attic’s insulation and ventilation are crucial for keeping your home weatherproof for winter. The right amount of insulation and ventilation in your attic improve energy efficiency. Proper ventilation prevents moisture and mold from rotting your roof’s supports. Skimp on this and you run the risk of a miserable winter. Winds and rain rustle leaves and tree debris loose. They will get onto your roof and inside your gutters. It’s a disaster waiting to happen. So be sure to give all that rainwater an unobstructed path away from your home’s foundation. For gutter repair, hire a roofing and siding contractor. For problems that you can’t fix yourself, you can save time and headaches by calling in the pros. Trained eyes can spot problems much quicker, and sometimes fix them on the spot. 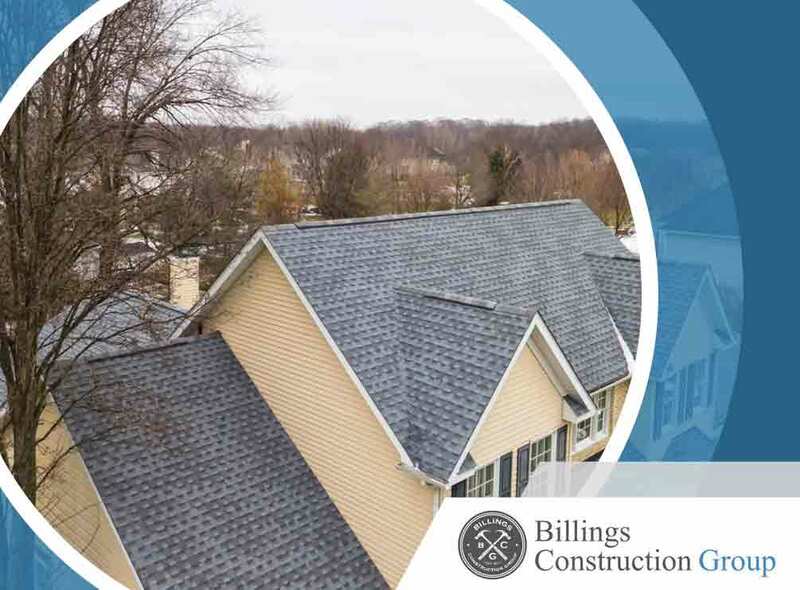 Billings Construction Group has the experts who can get your roof all ready for winter. We serve Bixby, OK, and nearby areas. Call us at (918) 600-9565.